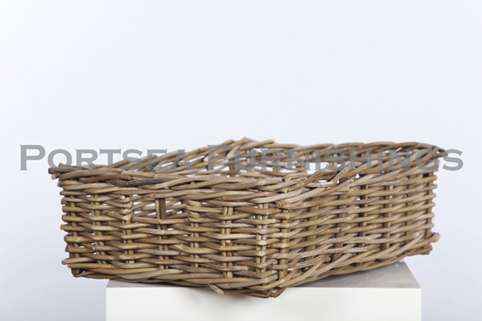 These rectangle tray with handles is made from strong, long lasting rattan. Our trays are perfect for the house, in a supermarket, bakery or any other display use. 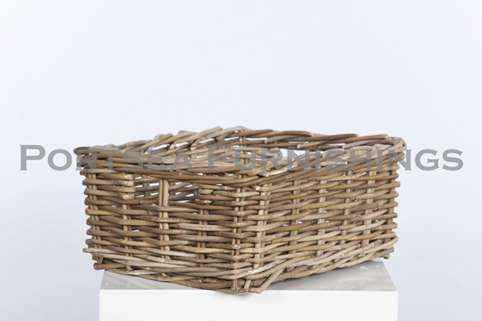 With handles at each end, it make this rectangle tray with handles easy to carry. 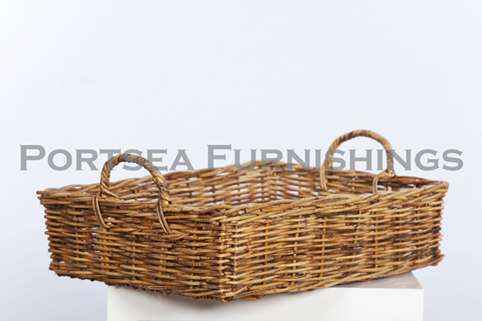 Made from 100% natural rattan, environmentally friendly and biodegradable. 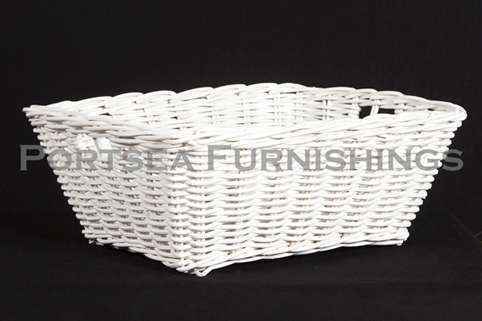 X-LARGE – DIMENSIONS: 53 x 42 x 13 (17) cm H PRICE $ 45.00 LARGE – DIMENSIONS: 48 x 37 x 12 (16) cm H PRICE $ 40.00 MEDIUM – DIMENSIONS: 43 x 32 x 10 (14) cm H PRICE $ 25.00 SMALL – DIMENSIONS: 37 x 26 x 9 (12) cm H PRICE $ 18.00 * measurements in brackets refer to the height of the handle.